Mary Fran Quindlen – Quindlen Law Firm, P.A. Mary Fran Quindlen holds two bachelor’s degrees in History and English from Rutgers University. She received her law degree from the University of South Carolina in 1998, where she was a member of Women in Law and the Phi Alpha Delta Fraternity. Following her admission to the South Carolina Bar, Mary Fran practiced as a Marine Corps Judge Advocate serving as a Legal Assistance Attorney and Defense Counsel. She continued to serve in the United States Marine Corps Reserve until May of 2006 when she resigned her commission as a Major. After her release from active duty in 2002, Mary Fran became an Associate at Harvey & Battey, P.A. in Beaufort, South Carolina. She worked as their family law practitioner until 2005 when she opened her own practice in Beaufort. Mary Fran’s practice is concentrated in the areas of Military and Family Law, to include custody, visitation and divorce. 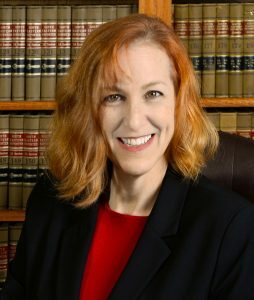 Mary Fran is a Fellow in the American Academy of Matrimonial Lawyers, the International Academy of Family Lawyers, and serves on the South Carolina Bar’s Fee Dispute Resolution Board. Mary Fran has been qualified as an expert in South Carolina Family Courts regarding military matters related to divorce and she teaches military family law CLE’s around the country.